You can sit on your balcony at Sterling Shores Resort and see what makes this resort stand out from other Destin condo rentals. Relax on the teak lounger while you enjoy a panoramic view of the Gulf of Mexico and the resort’s beautiful beach. Admire the lagoon pool and the beachfront pool. Each pool has a feature you will enjoy. The lagoon pool is heated during cold weather, and there is a play area for children near this pool. You can take a break from swimming to enjoy burgers and drinks at the beachfront pool’s bar and grill. If you are in the mood for something besides burgers, you will find plenty of places to eat nearby. Have a family dinner of seafood at The Back Porch Seafood & Oyster House. If you want a romantic dinner for two, head over to Ruth’s Chris Steak House. Have dessert after dinner at The Candymaker. You will appreciate your condo’s full kitchen and dining area if you want to eat in your condo. If you are here for a family vacation, you will have plenty of room in a condo with three or four bedrooms. You can enjoy a romantic getaway in a one-bedroom condo. You can begin your day by making coffee in the condo’s coffee maker and using the high-speed Internet connection to do some work. Then you can head out to explore all the attractions in Destin. Enjoy the water by taking a trip to see dolphins. If you are in an adventurous mood, go parasailing above the water or scuba dive in the water. There are also places where you can go surfing or snorkeling. Head over to Silver Sands Premium Outlets to pick up some bargains on designer clothing and footwear. Explore the area’s art galleries and visit gift shops to buy souvenirs for friends at home. If you forgot to pack something, you can stop at the nearby Walmart. Pick up some groceries at Fresh Market to keep in the refrigerator in your condo. The sofa in your condo is a great place to relax after a busy day. You can curl up and watch premium cable channels or put a movie in the DVD player. There is a movie theater adjoining the resort’s lobby. 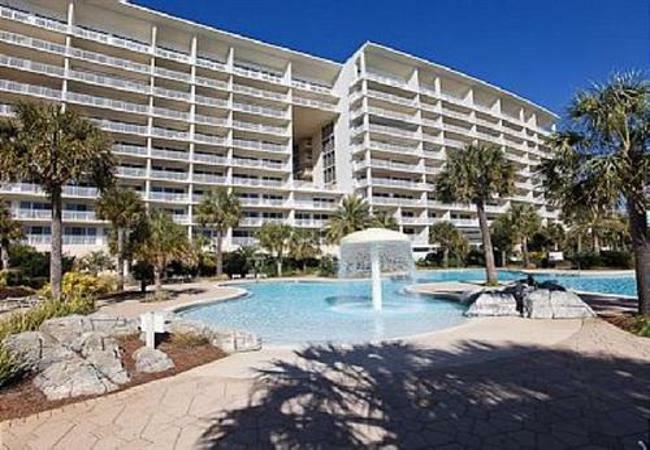 If you stay in one of the Destin condo rentals at the Sterling Shores Resort, you will be in an ideal spot to explore the attractions in Destin.